I just love those wonky circles I see everywhere right now. I used them as a start when i was figuring out what to do for my ABNH solo post this month. 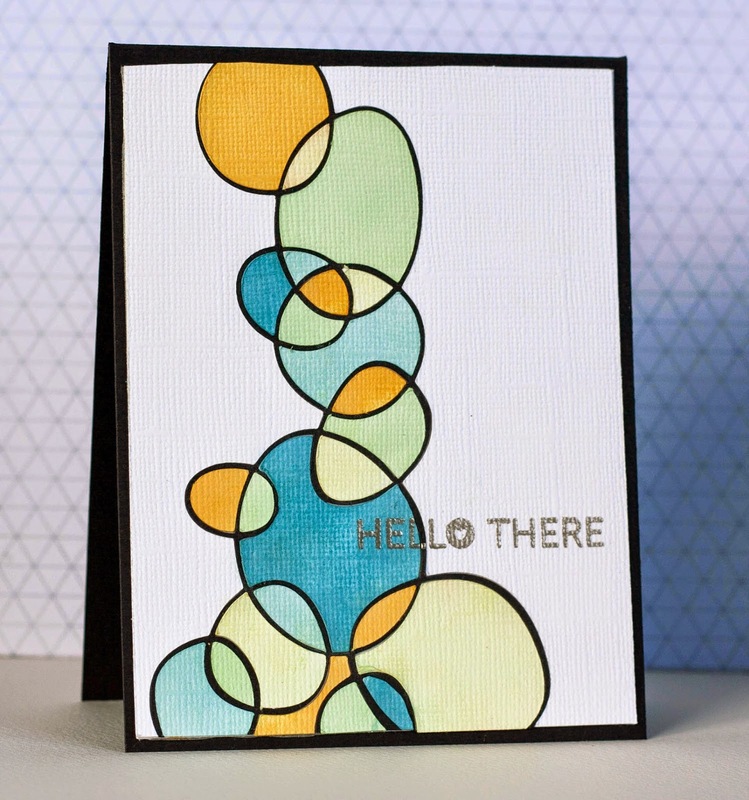 I made three cards on the wonky circle theme. 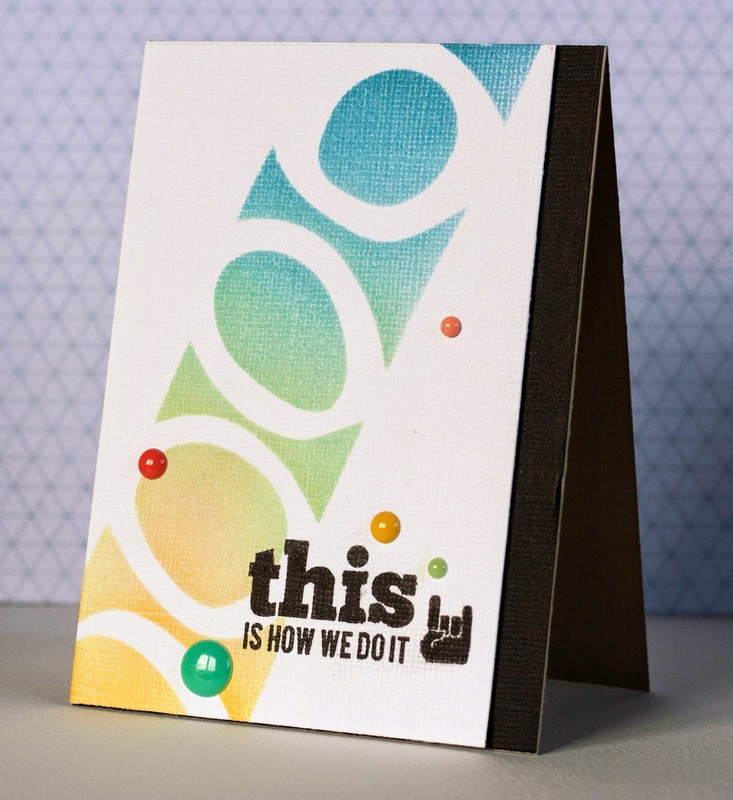 I got this new stencil and inked a wonky circle pattern with some lovely colors of shadow inks. Yummy! 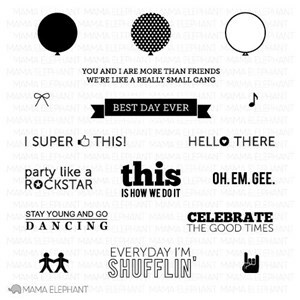 I think the Mama Elephant stamp is so cool too, they are our collab this month, yey! But then I had all these black left over pieces and did not want to toss them, I made another card. I was thinking a nice graphical black and white card would be cool. But when I was done it looked a bit... blah... 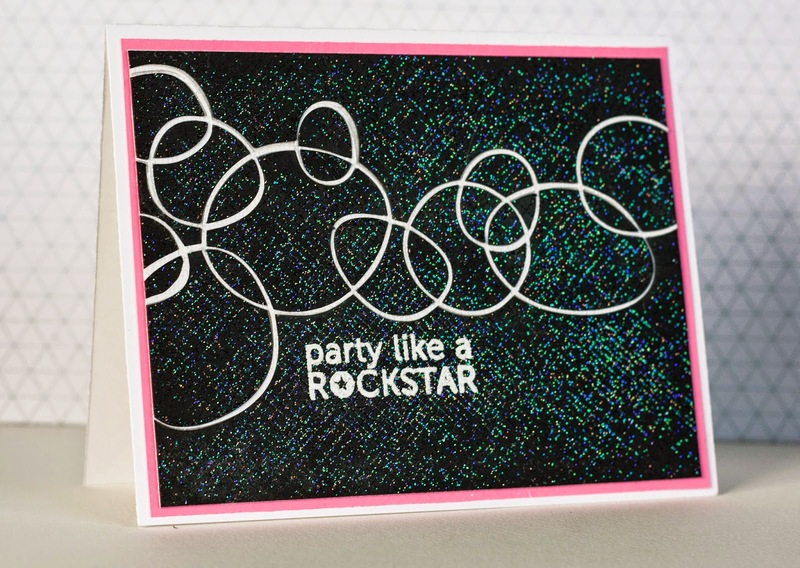 I took my Envelop background stamp and embossed it over the whole card using clear neutral glitter embossing powder. And the card was not blah anymore I tell you. So, talking of embossing. 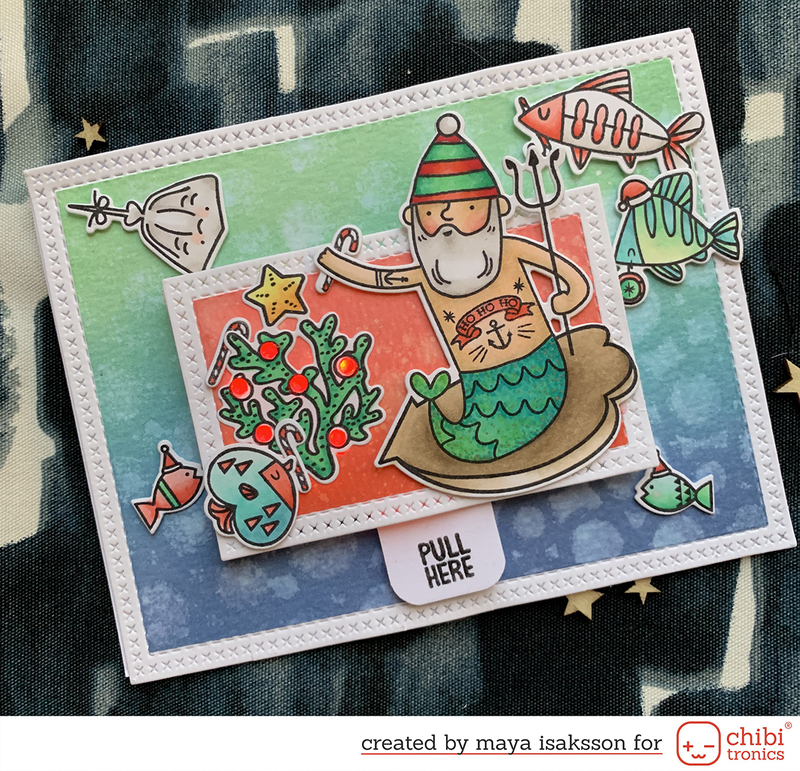 There is still some time left to enter the current challenge :) It's all about embossing!